The HiveAP 110 802.11n wireless access point is a Wi-Fi device that provides high throughput using its 2 by 2 Multiple In Multiple Out (MIMO) access door that is facilitated by a flexible 10/100/1000 Ethernet entrance port. This high level wireless gadget provides data speeds of up to 300 mbps through its solo dual band radio. It also has one reset pinhole. The HiveAP 110 is excellent for use in growing establishments which require only one radio of 802.11a/b/g/n bandwidth functionality. Places where its use can be very beneficial include small branch offices of large corporations, telecommuting and also many smaller retail outlets. These places usually have fewer personnel who require only one radio for their daily operations. The dual band capacity of 2 and 5 GHz provides its users comfort because when 2GHz is in high demand, they can operate at the higher 5GHz level. The HiveAP 110 is a small compact device of 6.5 by 6.5 by 2 inches in volume and weighs about 800 grams. This makes it ideally suited to merge discretely into any working environment because it blends in nicely with the rest of the office equipment. It can be mounted on a desktop, wall or ceiling. Its physical security is provided by a Kensington security lock point and a tamper-proof security screw. Its internal antennae points in many directions thus improving the radio range coverage for its users. The light emitting operation indicators on its body surface are designed to work in a subtle manner in the background of busy work areas. These indicators can be customized to produce low voltage light or when not required, can be disabled altogether. The dual purpose for the use of these indicators is that they show that this device is in good working order and also they do not distract workers from the job at hand. The HiveAP 110 can be powered in 2 main ways i.e. power over Ethernet (PoE) and DC power. This functionality is facilitated by a PoE 802.3af port or by purchasing a 48v DC external power adaptor. The typical power consumption of this device is only 7w. The power interface port is an RJ45 port where pins used include 4,5,7,8 or 1,2,3,6. This low power usage makes this device very affordable and economical to operate. This device is also certified under the indoor UL 2043 plenum quality standard. Its base operating environment should be maintained at cool and dry with operating temperatures not exceeding 40 degrees centigrade, storage temperatures not exceeding 85 degrees centigrade and humidity not exceeding 95%. This device is operated using the HiveOS operating system that is highly adatable for today’s growing network requirements. This system allows many such devices to operate in groups or hives so as to make sharing information and data more efficient. The overall effect of using this type of architecture is that it lowers the overall running costs, is more dependable, allows room for future growth of smaller networks into larger networks, and performs much more effectively in the long run. This also reduces the need for more control from a central base. 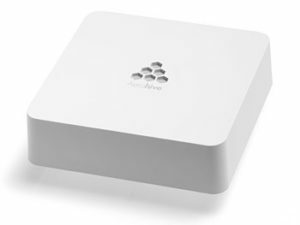 When the HiveAP 110 is used within a networking environment it enables centralized monitoring, upgrading of configurations and firmware and also allows for non-complex policy creations. This control can be managed from both a local area network, covering a single building, or a wide area network, covering a campus or even across borders. The HiveManager is uniquely structured to negate traffic blocks that cause network downtime and also is configured in such a way that control operations are distributed within their geographical areas. This facility can be used either online via the internet or on site by purchasing the VM management tool. The HiveAP comes with a limited lifetime warranty. The product itself costs about$500. Other accessories that are purchased together with it include a 30w indoor rate PoE power injector together with US/UK/EU power cords, 30w power supply for US/UK/EU power cords and also plain US/UK/EU power cables. Extended technical support can be provided for those who need to ensure that their networks are running at full capacity. This support is on hand 24 hours a day for 5 days, every week of every year. The support covers replacements, technical expertise, software updates, and email and internet access. Since many organizations in today’s world have the need for a local or wide area network, the fastest way to acquire one is by going wireless. The HiveAP 110 is quick and easy to install and is usually operational immediately after it has been fully configured. It can be ideally suited for small companies or organizations that are just starting out with a wireless network, but do not want the time consuming and nerve racking complexities of much larger networks. 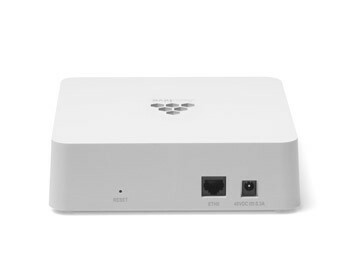 The HiveAP provides any small company a suitable entry point into wireless networking.